Love Pagani cars? Can’t wait to receive fresh news from the car maker? Well then it’s time for you to be happy as most likely one of their hottest designs has been spied recently.Curious to know what we are talking about? 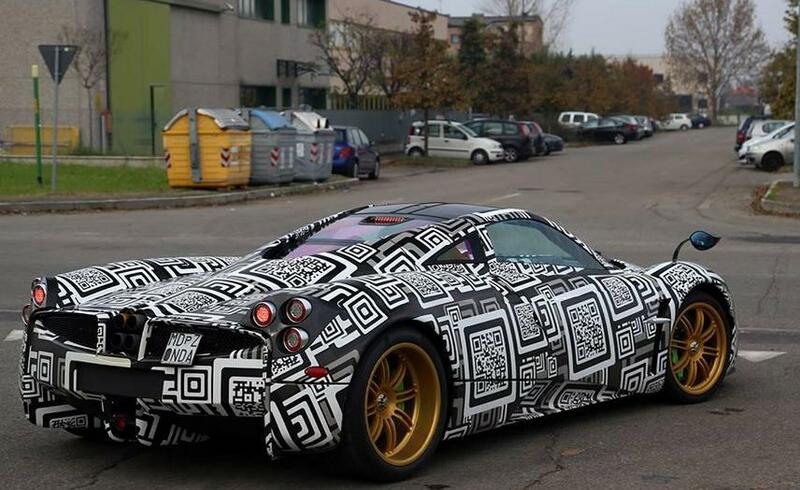 Of course we refer to the Pagani Huaya Nurburgring Edition that has been photographed testing. For the special car production will be llimited to 25 units tops. We remind you that discussions regarding the Pagani Huaya Nurburgring Edition started in June. More to the point a report indicated that the company was working on a track-focused version of the Huayra. Talks were followed by evidence as the car was spotted. The car was first seen near the Nurburgring race track. And now good news keeps coming as a new photo showing the car testing has been made public. The exterior aspect of the car is a great mistery still as the test mule is fully camouflaged. As far as power goes the Huaya Nurburgring Edition promises to be super. The AMG V12 6.0-liter twin-turbo engine will likely be tuned beyond the current 710 PS (522 kW) and 1,000 Nm (737 lb-ft) level for a 0-100 km/h (0-62 mph) acceleration in just three seconds. Not only this, but the new Huaya is expected to be lighter and feature more carbon fiber details. This entry was posted in Pagani, Spy Photos and tagged Nurburgring Edition, Pagani, Pagani Huaya, Pagani Huaya Nurburgring Edition, spied. Bookmark the permalink.